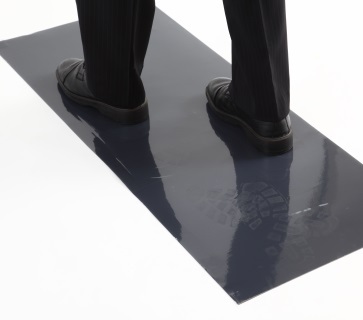 Unsure of which tacky mat you need? Is your e-waste a ticking time bomb? 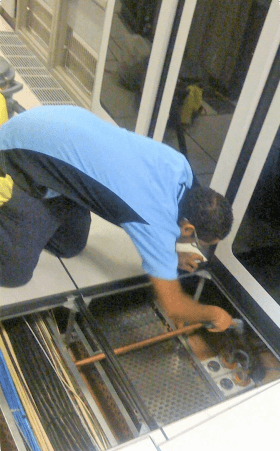 technical cleaning of other controlled environments. BACS cleaners differ from general cleaners because they are trained experts in technical cleaning who understand the critical nature of the environments in which they work. 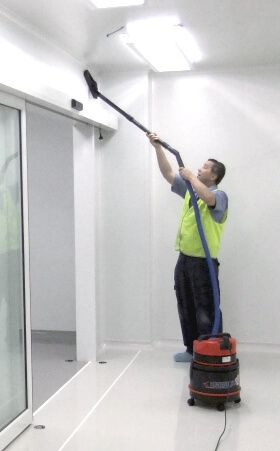 Data Centre cleaning services include post-construction, sub-floor, above-floor, server rack and pod, internal server and CPU, high-rise fixture, floor scrub-washing and vinyl stripping & resealing in data halls as well as support areas such as corridors and plant rooms. 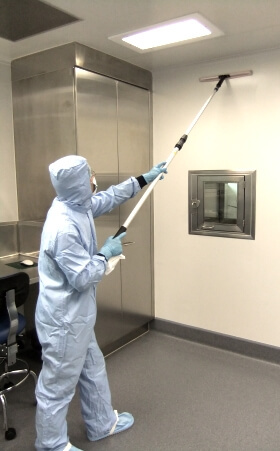 BACS cleans cleanrooms, laboratories and research facilities of all sizes and classes, from non-sterile ISO Class 9 up to sterile Grade B. Services range from major post-construction and pre-certification cleans to routine weekly vacuuming and mopping. 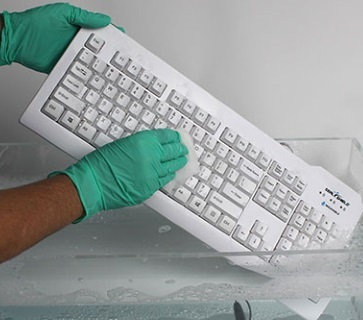 In addition to cleaning facilities, BACS also sanitises and cleans PCs, workstations, telephones, printers, mice and all electronic office equipment. 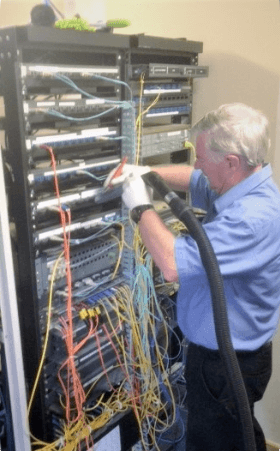 We also offer a range of other technical cleaning services as well as Indoor Air Quality testing for data centres, computer rooms and cleanroom environments. Our services are available in Australia nationwide. We have offices in Sydney, Melbourne, Canberra and Perth with service staff based in these cities as well as Brisbane, Adelaide and Hobart. We also service New Zealand clients. Head over to our Regional Map to see a comprehensive list of areas we service. 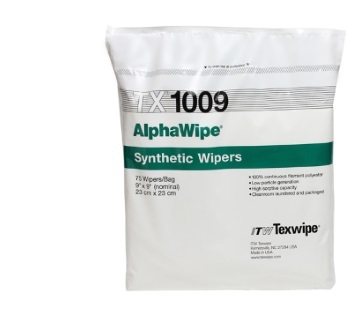 BACS has an online store selling a range of products which further enhance the cleanliness of data centres, cleanrooms and other controlled environments. 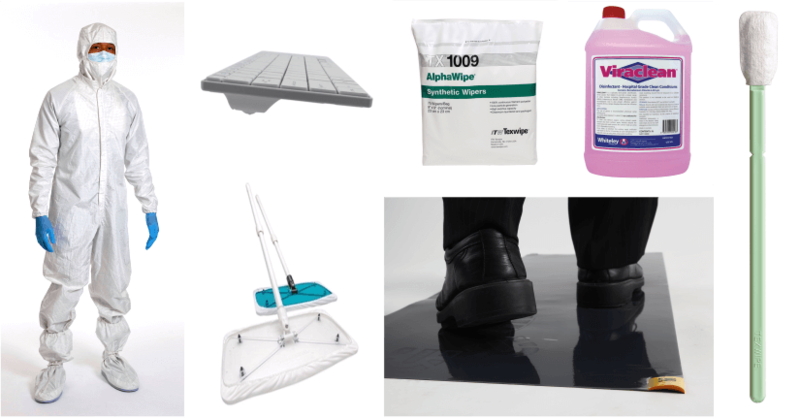 Tacky mats, floor tile lifters, vacuum cleaners, antistatic range, washable keyboards and mice, disposable shoe covers, gloves and wipes are available for the data centre industry. 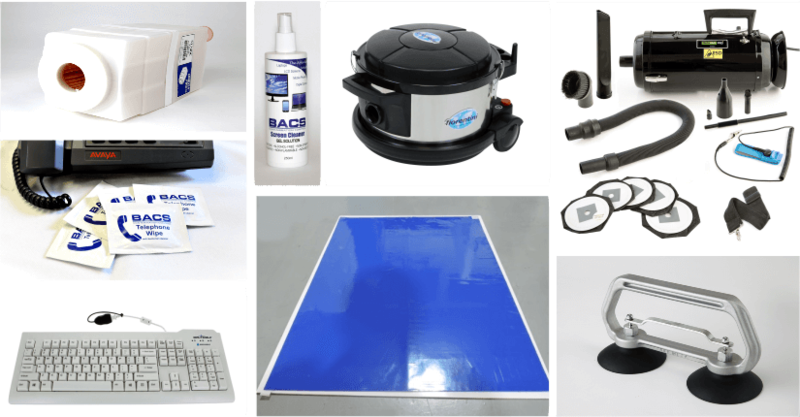 BACS offers a wide range of top quality, technologically advanced cleanroom consumables including dry and pre-wetted wipers, swabs, cleaning validation kits, mops and contamination control mats. 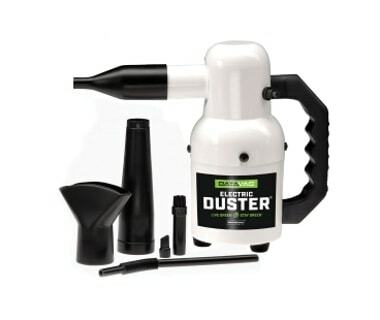 Visit our store to see the full product range. BACS was founded in 1982 by CEO Bob Allan in response to a need for professional computer environment cleaning. 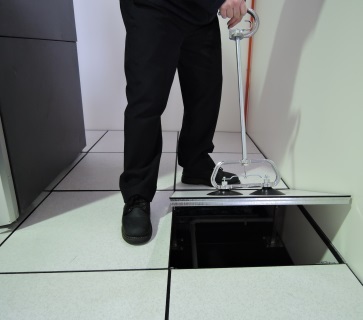 For 10 years, BACS cleaned comms and server rooms for businesses and government departments including Alcatel. 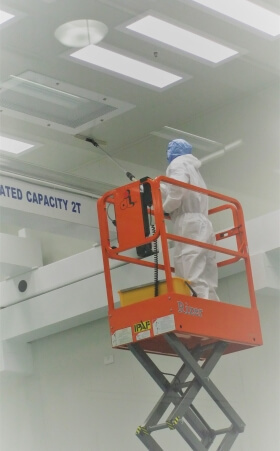 In 1992 Alcatel needed a manufacturing room cleaned to a cleanroom standard. BACS took on the responsibility and has been cleaning cleanrooms ever since. Find out more in history.